The conservatory in its traditional form is dead, or so they say! The glazing industry has evolved now and with TV programmes such as Grand Designs, showcasing ever more ingenious glazing structures to compliment listed buildings or new structures for contemporary houses, these newer designs have broadened out into the wider market. 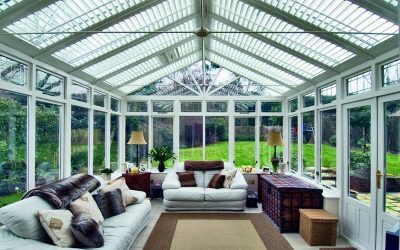 Homeowners are now choosing glass extensions incorporating roof lanterns, but this move still maintains natural light levels. 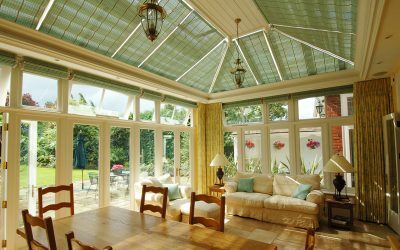 Although glass technology today helps to prevent temperature extremes inside conservatories, blinds are still needed in the majority of cases to provide either shading from the intense heat of the summer or insulation and privacy for the colder winter months. 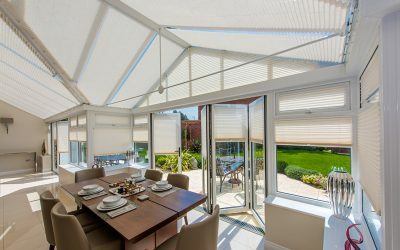 With increased uncertainty over future climate patterns with hotter summers and colder winters, it has never been a more appropriate time to consider fitting blinds to ensure that you don’t get caught out with a conservatory that is uncomfortable or unusable. 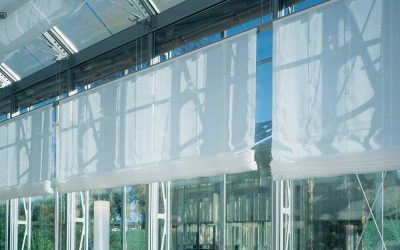 With these new developments in glazing structures, we at Oakhurst are being asked if we can supply blinds, especially for lanterns with no visible support wires. We have been asked this question for some years now and the answer has always been that we cannot. It’s a wholly understandable question; when you have invested in creating a clean, contemporary feel to your space, but you still need shading. 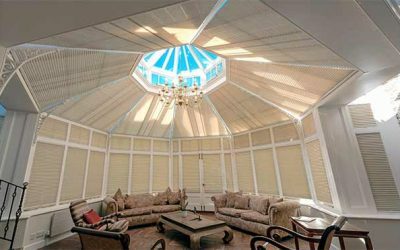 With a roof lantern the single blind covering it is usually a long way down from the glass, therefore traditional fabric support systems become very obtrusive in appearance once the blind is open. The great news, however, is that we can now solve these problems. 1) The old way. 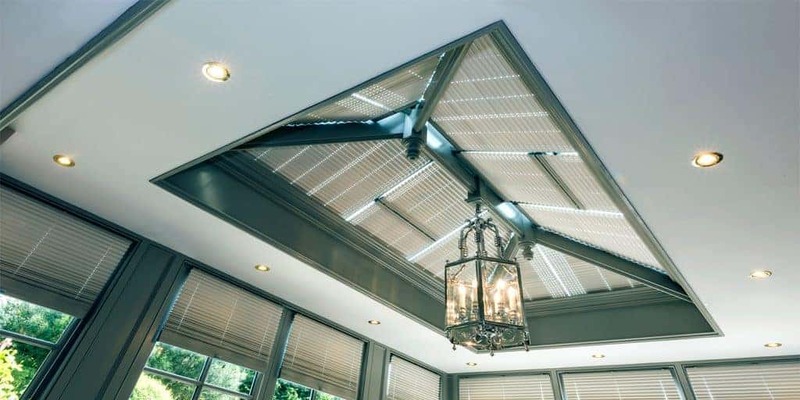 Pleated blinds are fixed to each glass panel in the roof lantern. 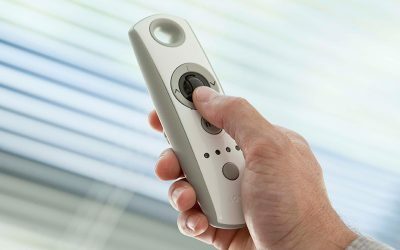 Suitable for very hot south facing installs where blinds are essential and you require the flexibility to control the blinds individually as the day progresses. 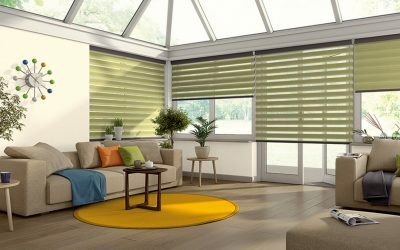 The advantage of pleated blinds is that the vast choice of fabric ranges and colours available. 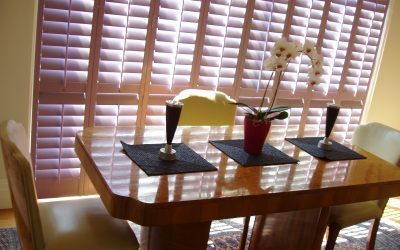 We would recommend that these blinds are motorised for ease of operation, but in some cases they could be operated with a pole. A system of wires and cords are used to keep the fabric tensioned and even. This can sometimes be a less expensive option. 2) Single pleated blind. This is similar to the above, but it is just one single blind. It is the least expensive option by far but the support is the most visible, even though they are a clear nylon line. 3) Single Roller blind. Designed specifically for the roof lanterns, this a specialist product, not to be confused with lightweight roller blinds used for side windows. 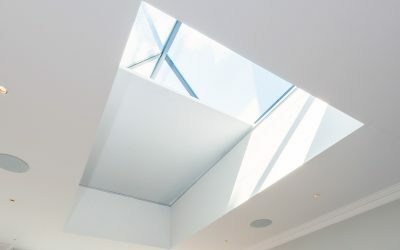 Depending on your budget and on the width and depth of the aperture of your roof lantern there are two options. The first and also the cheaper option for roller blinds is the Zip Roller Blind System. Its main advantage is a complete or vast reduction in support wires. This system can cater for widths up tof 1.9 metres and lengths up to 2.4 metres. After which support wires will need to be introduced to ensure that the fabric is tensioned properly and so the fabric does not sag or ripple. The wires are concealed behind an unobtrusive box system in which the blind sits, in order to be supported. A blind that is 2.5 metres wide by 6 metres long maximum will only need two wires fitted within 150mm of either edge of the blind. 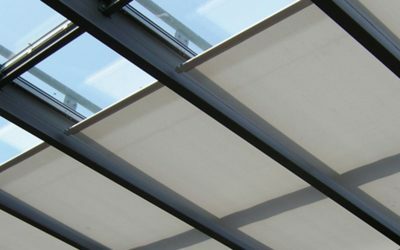 A blind that is 3.0 metres wide x 6 metres long or 3.5 metres wide by 3.5 metres long will need just TWO wires at standard, even spacing between. With very large lanterns over 3.5 metres wide and 6 metres long, the Zip Roller Blind System will require FOUR wires equally spaced. 4) Silent Gliss System. An alternative for the no-wire option for lantern roller blinds over 1.9 metres wide and 2.4 metres long, is the Silent Gliss Roller Blind System. This is a heavy-duty system that is supported by a in-designed frame and will have to be supported by integral shelving unit which is ideally built into the lantern when it is constructed. The Silent Gliss System is the most expensive of the system types, but if it is a zero-wire look that you are looking for then this is the only option available on the market currently. However, this is the most expensive system and will be roughly double the price of the Zip Roller Blind System. 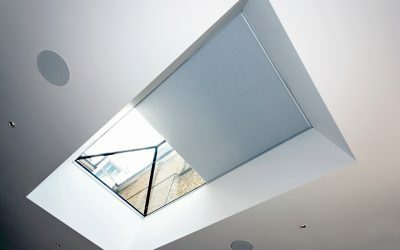 When considering which option would most suit your budget and individual requirement for the right result we would highly recommend you consider a motorised solution as operating a large blind with a *pole may become a frustrating task. We use Somfy motorised products and all our blinds come with a full 5 year guarantee. 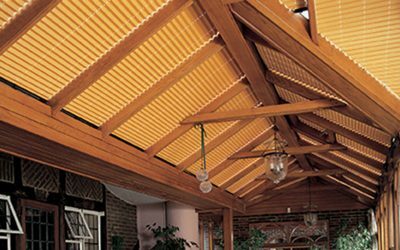 Oakhurst is a premier specialist manufacturer and supplier of conservatory blinds to the retail sector having been established nearly 30 years. All products are made to measure by our team of in-house experts. Please click here for more information. Pole operation only available on pleated option 1 and 2.